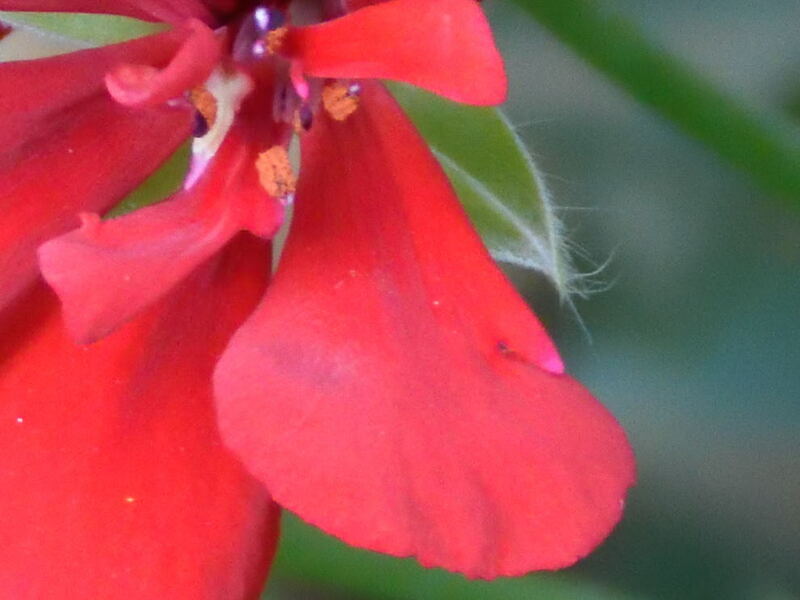 Notice the tiny hairs at the edge of the green leaf in this crop from a picture of the flower. Most of them are thinner than human hair and their separation from each other is excellent. Surely the photo must have been taken with a macro lens, camera on a tripod and with remote shutter-release. Quite a bundle to carry along on a trip! The picture above showing very fine detail on the edge of the green leaf was taken without tripod using the affordable Nikon 1 J5 and the venerable superzoom AF-S DX 18-200mm f/3.5-5.6G ED VR II. The older generation lens was attached to the camera using a FT-1 mount adapter. The camera is in this combination like a small addition at the end of the lens and one has to support the lens,rather then the camera when taking photos. Of course, a tripod can be added to the lens but the point here is that no tripod was in use. Here is the same flower photographed with the ultra-light VR 10-30 mm f/3.5-5.6 PD-ZOOM lens that comes with the camera. The detail is cropped from a 20 MB RAW file as above. Not bad, eh? How this tiny marvel can produce such resolution without tripod support? Firstly, the camera has a glorious 20.8 MP BSI-CMOS sensor capable of taking large RAW images. Second, the high quality zoom lens has a quite effective vibration reduction system that makes macro photography easy. Thirdly, the sophisticated autofocus system includes both contrast and phase detection and it works very well in AF-S mode with older lenses.. Fourthly, automatic ISO setting and fast electronic shutter speeds up to 16.000/s help reduce problems such as the loss of sharpness caused by the movement of delicate flower parts in even slow wind. There is, of course, much more to this tiny camera yet so versatile and packed with features. 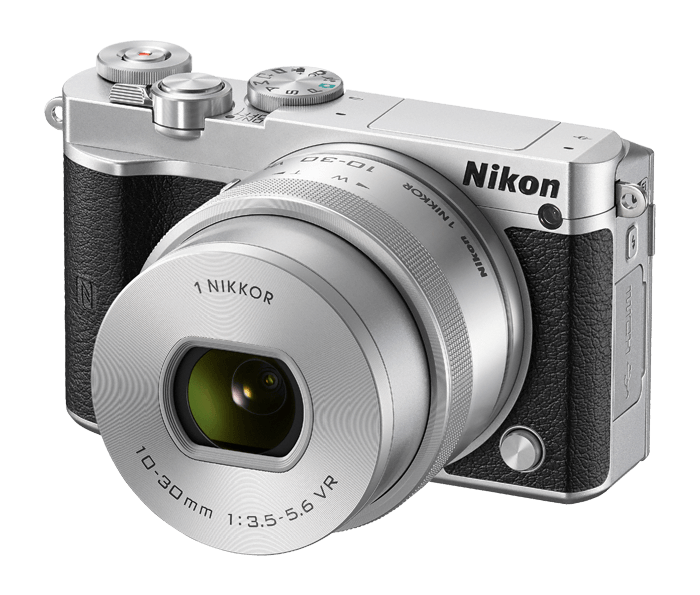 The standard 10-30 mm zoom that comes with the camera gives sharp and warmly colored pictures especially notable in human skin tones. Combined with the fast burst mode, up to 20 pictures in a second, the camera is ideal for capturing memorable moments in constantly changing scenes with playing children.. I must confess that after getting this marvel of modern photography technology this summer my respectable bulky DSLR tends to stay home in the cupboard while this little thing comes with me..If for no other reason so just because of the simplicity of transferring images from the camera to Android tablets and phones using the built-in WiFi server and Nikon's smart software.